Australia had a poor start to the summer against India, and will be keen to turn it around in a two-Test series against Sri Lanka, which gets underway on Thursday at the Gabba. Day-night Tests always bring an air of uncertainty, and while India knocked it back, Sri Lanka were happy to use the pink ball in Brisbane – something they may well come to regret. An Aussie attack with the ball swinging is the last thing they want, given the conditions they prefer playing in are low and slow. Based on what we saw last time the Queensland venue hosted a Test under lights, this could be hostile if the bowlers are consistent and the pitch is near what we have seen in past decades. When the pink ball comes out, curators have to leave more grass on their wickets to ensure the ball doesn’t get chewed up too quickly. Add that to the difficulty of batting in the sunset period and shortly after dusk, and facing up can become a nightmare. While wickets fall under lights, the second session has often been the worst time to bat. The sun is going down and the artificial lights are taking effect, making for a constantly changing environment. In the aforementioned Gabba day-night Test, against Pakistan, Australia’s first innings brought with it 429, while Pakistan’s second got 450. The two in between weren’t worth writing home about, but the hosts ended up with a thrilling 39-run victory. But since the ball-tampering scandal in South Africa, Australia’s best results were a drawn Test in Pakistan, and a single victory in Perth on a bouncy deck against India. Outside of that, they have lost series to South Africa, Pakistan, India and struggled in limited-overs cricket. Bowling 340 overs across the first innings of the last two Tests against India would have also sent shockwaves across the camp, with the side being forced to follow on at home for the first time in 30 years. They have made plenty of changes to the squad ahead of the visit from Sri Lanka, and with these being their last Tests before the Ashes later this year, there is plenty on the line. 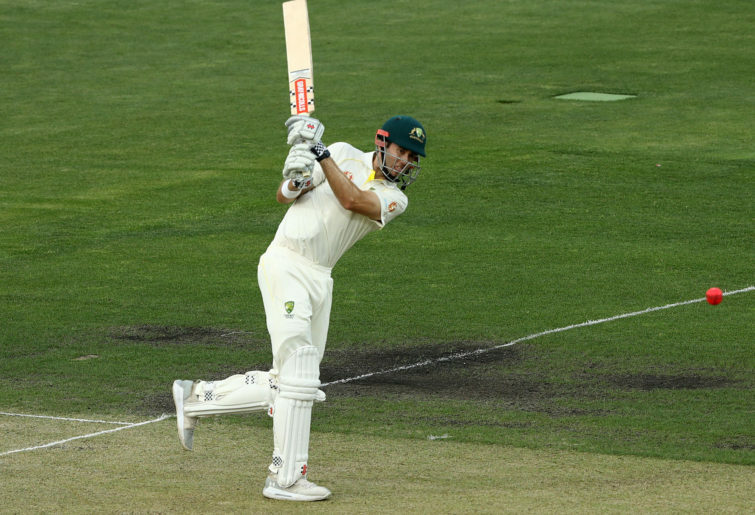 Marcus Harris, Matt Renshaw, Joe Burns, Marnus Labuschagne, Will Pucovski and Kurtis Patterson all have plenty to prove in a brittle batting order. On top of all that, there is the feeling that Australia simply should win this series. Home, against Sri Lanka. It’d be embarrassing to lose either of these Tests. Sri Lanka, on the other hand, are right up against it with some poor recent results of their own. Their last series saw a one-nil loss away to New Zealand, where the batting simply wasn’t up to it. They did eke out a draw in the first Test, but they were failing often, with only Angelo Mathews and Kusal Mendis putting up a fight. Going down in the second Test by 423 runs probably gave more of a reflection between the teams though. If losing on the road wasn’t bad enough, their previous series was a 3-0 loss at home to England. While there is no doubting the opposition’s quality, Sri Lanka are falling down the Test rankings at a rate of knots. Individual performances from players like Mendis, Dimuth Karunaratne and captain Dinesh Chandimal will be relied on, but even that is unlikely to be enough, as Sri Lanka have never won a Test match in Australia, with just two draws from 13 attempts. The positive news is that the weather forecast is only predicting chances of interruptions on Friday (Day 2), so we should get something close to a full Test. After twin centuries during the tour game in Hobart, Kurtis Patterson was brought into a squad picked two weeks ago, and the only reasonable assumption which could be made is he will play. He should slot straight into the number four position, with the out-of-form Matt Renshaw missing out at the top of the order to Joe Burns. Picking Will Pucovski would be a major risk, so he should be the other to miss out, with newly appointed vice-captain Travis Head joining Marnus Labuschagne and skipper Tim Paine to round out the top seven. Josh Hazlewood was also a late exclusion, after he picked up a stress fracture. Given Peter Siddle has been in the squad all summer, he should play, with late replacement Jhye Richardson on the sidelines in an otherwise unchanged attack. The biggest problem for Sri Lanka is missing Angelo Mathews. The talented batsmen is out of the series with injury, while Danushka Gunathilaka has also been dropped after a tough tour of New Zealand. The dropping of Gunathilaka opens up a position for Lahiru Thirimanne, who built some confidence with 46 not out in the second innings against the CA XI. With Dimuth Karunaratne, Dinesh Chandimal and Kusal Mendis certainties for the batting order, it will provide some stability, while Niroshan Dickwella and the bowlers are likely to be unchanged, with Dilruwan Perera a certainty. The other two batting spots are likely to go to Dhananjaya de Silva and Roshen Silva, however Nuwan Pradeep and Sadeera Samarawickrama could also be in the reckoning. How do Sri Lanka replace Angelo Mathews and Rangana Herath? The retirement of veteran spinner Rangana Herath is likely to hit them even harder than the absence of Mathews. While Herath could win games on the sub-continent, he was a reliable bowler in all conditions, and the side could have real problems finding a consistent spinner. The Lankan bowling attack is likely to struggle in these conditions, so a heavy burden will be on Dilruwan Perera to provide wickets, but also block up an end and allow the quicks to rotate out of the other. Perera himself is a veteran, at 34 years of age, but with only 36 Tests to his name and a bowling average of over 30, the pressure will be on to perform better than he ever has away from home. Mathews can also be replaced, but that’s going to be a burden on players like Chandimal and Mendis, rather than a direct replacement doing the job. The former skipper was solid in New Zealand, and was part of an all-day partnership at one point as they grimly hung on for a draw, so every other player now needs to stand up, starting with skipper Chandimal. However, Mendis is probably the man to watch, given he has scored over 1000 runs in the last 12 months. Who is backing up Pat Cummins? Pat Cummins was Australia’s best player against India. Whether with the ball or bat, he was always doing something to keep his team in the battle. With no Josh Hazlewood in this series, he is likely to finally have a crack with the new ball, which should only help him along the way, while a call-up to co-vice captaincy was well-deserved. But after a long summer, no matter how good the form is, Cummins needs support. Nathan Lyon will match what Perera is able to do spinning the ball and then some, but the other quicks is where the question lies. 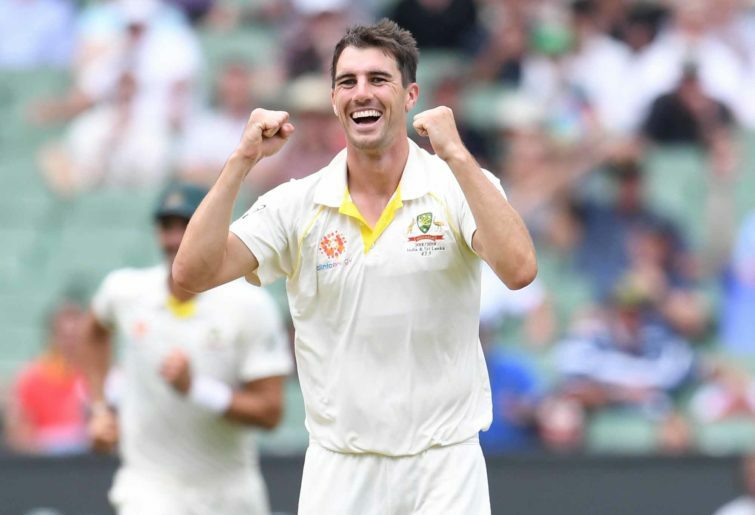 Mitchell Starc has kept his spot in the team, despite struggling to put the ball in the right place and get wickets on a consistent basis since the end of last year’s Ashes tour. While you know what you’ll get out of Siddle, this might be his last chance in the Test side, so he will be keen to make the most of it, given the selectors continue to leave out players like Chris Tremain. Karunaratne has been one of the best openers in world cricket throughout the last 12 months, scoring more than 700 runs and averaging over 45, and while he has played a lot in home conditions, he has excelled whenever the challenge has been thrown down (although the second Test against New Zealand was a fizzer). The opener made 44 against the CA XI in the first innings, but is going to need more than that against Australia, being consistent. One of the biggest problems both Australia and India encountered in the recent series was a lack of concentration, with many making starts and unable to go on with it. If the tourists are to match it with their opponents, they need someone to pull off a similar effort to Cheteswhar Pujara. Karunaratne could be the man, but in conditions which don’t suit him, it’ll be tough. Australia’s biggest problem ahead of this series is the lack of experience in the batting order. 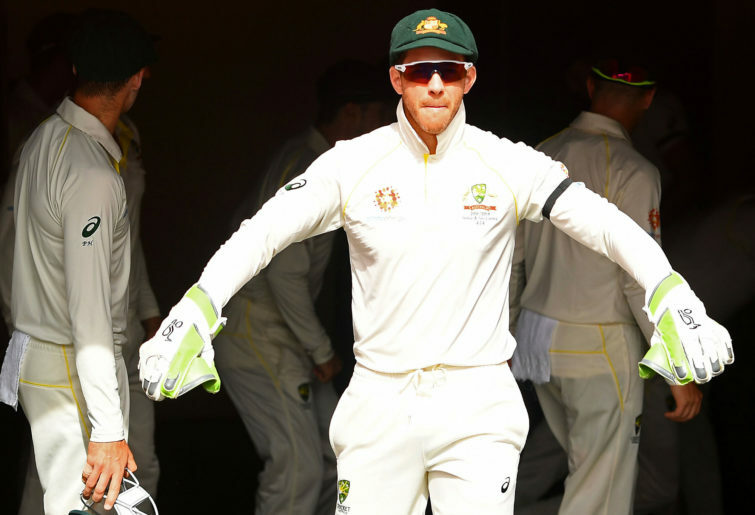 With David Warner and Steve Smith still watching on from the sidelines, and both the Marsh brothers (thankfully) dropped, they are left with a team of relative newbies in the Test arena. 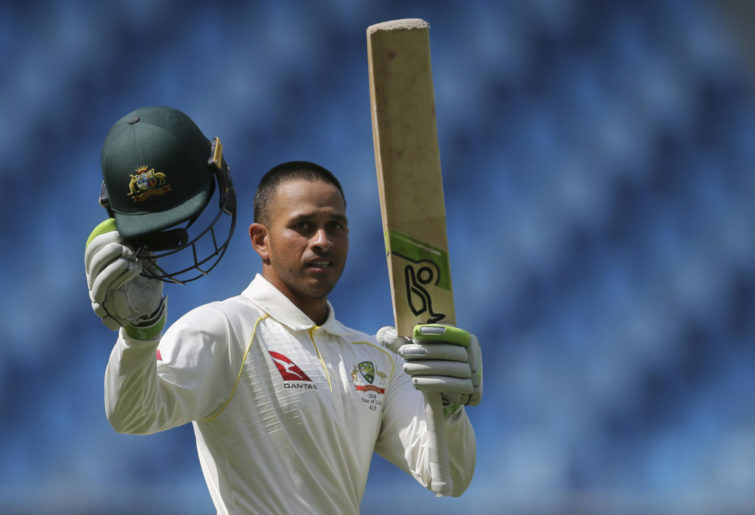 Outside of Usman Khawaja’s 39 Tests, no other batsmen (including captain Tim Paine) has played 20 Tests yet. Here is the brutal evidence. Excluding Pucovski and Renshaw as the likely subs, that’s just 45 Tests across six players, and excluding Paine, 26 Tests across five players. Khawaja, now more than ever, needs to stand up at first drop. He failed in this role against India, but this is the change to cement number three for the rest of his career, as well as throw the doubters off his back. There is no question talent exists among the rest, but consistency of results this early in a career on the biggest stage can’t be assured. Note: Hours of play can be changed and modified due to weather. An extra hour is available each day should time be lost. The start of play can be brought forward by half an hour if weather prevented overs being bowled the day before. Play can be extended by a further half an hour should overs not be bowled at the scheduled finish time due to slow over rates. The Australians are a lot better on paper, regardless of their recent struggles. Tim Paine will need to lead from the front, and they need runs, but even then, their bowlers should be able to restrict Sri Lanka to a fairly low score with a pink ball at the Gabba, particularly given Mathews won’t be there. Australia to claim a 1-0 lead inside four days.